How could we make the navigation simpler, so visitors could get to the information they want more easily? How could we unify the overall aesthetic to be more clear, simple, and expressive, while also being more flexible so we could add new functionality? A dynamic new portfolio. We've always received a lot of positive feedback on the Before & After examples in our portfolio, so we made it front-and-center in the new version. And in the new Sample Slides section all of the thumbnails are finally clickable. Just click or tap to expand each slide to its full resolution and see every detail. An improved and integrated blog. The new Apollo Ideas Blog is simpler and integrated better with the rest of our site. Expect more long-form articles about presentation design and communication strategy coming soon. We are also going to start using the Apollo Ideas Twitter account to share interesting things we find about presentations, communication, and design. New ways to contact us. Our new contact page includes links to our social network pages. We also included a way to sign up for our new Newsletter. Job listings. We are really excited about this one. We're expanding our design team, so we now have our own place to post about new positions. Tell your designer friends who are interested in information design. We hope you like the new Apollo Ideas. Be sure to check back in the future for useful new articles on the blog, and even new services coming down the road. A great oldie from Sesame Street. Sesame Street always has a way of getting it right. Simple is powerful. Slides and theater sets. Showtunes optional. Broadway set designers have a difficult job. They need to design theater sets that cleverly balance two functions: 1) physically providing the details (entrances and props) the actors need to tell their story, while 2) also powerfully conveying the emotional atmosphere for each scene of the show. Sound familiar? Metaphor alert: Your presentation slides have to balance the same functions. A great way to break free from the doldrums of traditional PowerPoint is to think of your slides not as slides, but as theater sets to be your backdrop as you deliver your speech. They're there to make you look good and support you with the details you need to tell your story. Fortunately you don't need a Master of Fine Arts degree to design great slides. The case for courtroom presentations. Not everyone is happy about the use of presentations in the legal industry. 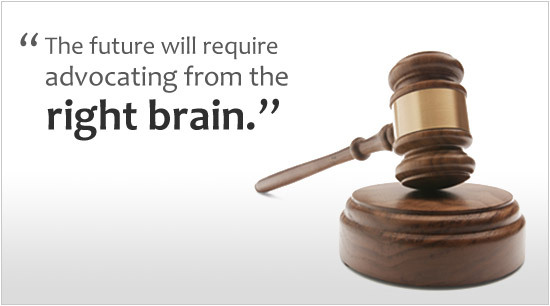 There are some who think presentations force lawyers to dumb down their content for the jury. I'd argue it's not the tool that's responsible, but rather the person using it. The power of any presentation is all in how it’s used, and great visual storytelling has the potential to give lawyers a significant competitive edge. You could even say their future depends on it. Texas lawyer David Bissinger makes a compelling case for multimedia in the courtroom in this recent article from Law.com. The US Army reports the misuse of PowerPoint has become a major problem. As the article describes it, PowerPoint is seen as a military tool that has spun out of control. 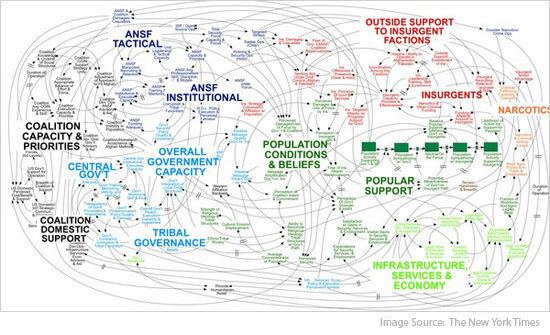 The spaghetti-like diagram above was taken from an actual military PowerPoint slide. It's designed to show the complexity of American strategy in Afghanistan. (Definitely doesn't follow the Apollo Ideas mantra of clear simple expression.) As General McChrystal, head of American and NATO forces in Afghanistan, describes it, "When we understand that slide, we'll have won the war." According to McChrystal, complex diagrams aren't even the biggest problem — bullet points are. And they're the same problem with your company's presentations. Bullet points are just rigid lists of facts. They do not convey meaning. They only barely convey information. What's worse, they are proven to lead to bad decision-making, poor judgement, and reduced creativity. This isn't the first time the government has recognized the PowerPoint problem. Several years back NASA identified the misuse of PowerPoint as a contributing factor to the Columbia shuttle disaster. You can read more about that on Edward Tufte's blog here. It's fascinating and tragic. PowerPoint is a bad reporting tool. When it's used properly, it can take a presentation from good to great, but bullet points and slick templates won't do it. It's truly amazing how much bad PowerPoint costs organizations in lost opportunity and time. Can you think of another business tool that even comes close? Thanks to the many friends and readers who sent in this article! There comes a time when every company must grow up. Welcome to the new look of Apollo Ideas. The new website is much more comprehensive — thoroughly explaining our services and the value we bring to organizations. Be sure to check out our new portfolio. We've added example slides from more than twenty presentations we've worked on, as well as a dramatic before and after section. We've also officially launched our Facebook and Twitter pages. You can follow us on either one for regular useful tips about presentation design and delivery. We’re committed to growing as a company. The new apolloideas.com is just one of many changes we’ve been making to enable us to take on larger projects and deliver even higher quality results to you, our clients. Sprint's new ad campaign, What's Happening, is making some serious waves. The ads are brilliant examples of effective marketing and great presentation design. Sprint spent a lot of money building a new 4G network and had to figure out how to show it off. They could have taken the traditional approach and created a campaign that explains the network's new features (e.g. "you can transfer so many megabytes per second on our new network! "), but in reality people don't care much about features — they care about benefits. My favorite example of selling benefits instead of features was when Steve Jobs first introduced the iPod in 2001. He didn't describe the iPod as a "4GB music player"; it was "a thousand songs in your pocket". Big difference. Sprint clearly understands the power of selling benefits because instead of focusing on what their network can do, their campaign demonstrates what people can do on their network, and on an incredible scale. The ads are slick examples of how proper pacing, dynamic visuals, and the right amount of humor can make a fact and data driven presentation extremely compelling to watch. You'll definitely find inspiration in these videos for new, creative ways to present your data in future presentations. Check out one of the ads below. I recently read Innumeracy by John Allen Paulos. The book explores the dangers of a mathematically illiterate public in an era when a solid understanding of numbers is essential to comprehend the major decisions being made in society and politics. Though I felt his writing was a little too academic and borderline pompous at times, Paulos' Innumeracy is loaded with enough fascinating material to make it worth the read. I highly recommend it if you want to gain a better understanding of the probabilities and statistics you come across everyday reading a newspaper or browsing the internet. Relating it to presentations, one topic the book explored was how poorly so many of us understand the magnitudes of big numbers like "million", "billion", or "trillion" — numbers that frequently get thrown around in presentations. Do you think you've been alive a trillion seconds? Not even close. To illustrate the relative magnitudes of these big numbers, consider this excerpt from the book. "For example, it takes only about eleven and a half days for a million seconds to tick away, whereas almost thirty-two years are required for a billion seconds to pass. What about trillions? Modern Homo sapiens is probably less than 10 trillion seconds old; and the subsequent complete disappearance of the Neanderthal version of early Homo sapiens occurred only a trillion or so seconds ago. Agriculture's been here for approximately 300 billion seconds (ten thousand years), writing for about 150 billion seconds, and rock music has been around for only about one billion seconds." It's interesting stuff, especially when you then come across figures like the estimated $10 trillion US national debt, or the nearly 3 billion people worldwide living in poverty. Sometimes it's a little too easy to become desensitized to the true magnitude of these numbers. What shape is your presentation? Flat? Round? Spiky? It’s an unusual question, but a very effective one for diagnosing the biggest problem affecting most presentations. PowerPoint often guides us down a bad path from the very start. The built-in templates conform us to a very rigid structure — titles and bullet points on every slide. Essentially, they encourage us to create a series of isolated lists, which is an ineffective way to structure your presentation. Before PowerPoint existed, people thought of presentations as speeches, and we tend to approach speech writing differently from presentation design. There aren't any visuals to rely on in a speech, so it’s up to our words to make the content interesting. For this reason, speechwriters focus on the narrative, or the overall structure of the speech. Speeches are round, like hills. They’re usually in the story-plot structure, which consists of an introduction, rising action, climax, falling action, and resolution. If we abstractly charted a speech, it would look something like this. Slide presentations look very different. The standard presentation format (template) encourages us to create an isolated series of lists (titles & bullets), and so we end up presenting our material as just that. It goes something like this: After our title and intro slides, we toss up a slide with a single topic (e.g. “Competitive Landscape”). We say everything we can about the topic, then move on to the next slide with a new topic (e.g. “Market Size”), where we say everything we can about that. This repeats for about ten to twenty minutes until we come to a slide titled, “Conclusion”, where we abruptly stop talking and ask for questions. Slide presentations are spiky, like the beeping heart-rate monitors you see in hospitals (EKGs). That spiky shape is the reason so many presentations are so boring to sit through. Humans love stories, and we're all natural storytellers. Every time we chat with friends we’re telling each other stories, and we're not usually reciting a series of isolated lists to one another. Our minds are wired to take in and remember round information much better than spiky information. This is why you can remember the details of a famous speech or the plot of a good movie, much easier than you can remember the items on your last grocery list. Your brain processes round information better because round information is saturated with meaning, which is the key requirement for memory formation. So when you’re working on your next presentation, remember to consider its shape. Bullet points aren’t the problem — the way we've grown accustomed to using them is. Keep it round, avoid the spikes. I recently had the opportunity to discuss some of the inspiration behind THIRST in an interview with Geetesh Bajaj from the Indezine blog. Indezine is a comprehensive web resource for all things PowerPoint (tutorials, tips, downloads, and more). If you spend a lot of time in PowerPoint, you'll definitely want to check it out. History made. Yes we can. I normally don't like to bring up politics here, but this is a moment worthy of an exception. History was made last night when Barack Obama won the 2008 US presidential election in a landslide victory. While I disagree with John McCain's use of negative campaign tactics over the past several months, I congratulate and applaud him for his sincere and graceful concession speech. He nailed it, expressing a caring and appropriate message of unity that you can tell came from his heart. Barack Obama's victory speech, delivered to a crowd extending far into the night, was yet another one for the record books. Barack Obama is arguably the best communicator ever to be elected US president. He is an example of the tremendous power a strong, balanced, and confident person has to inspire and lead others. He is, without doubt, a role model to us all. It is a very exciting time to be an American. Keeping that fourth wall down. When a character in a play steps out of a scene and reveals his or her awareness of the audience, it’s called, “breaking the fourth wall”. The fourth wall is the imaginary wall that normally separates the characters on stage from the audience in the theater. In a presentation, you should be breaking the fourth wall the entire time. After all, you’re directly addressing an audience. In fact, you never want to build a fourth wall during a presentation. That is, you never want to ignore your audience and start talking to yourself. It sounds funny, but people talk to themselves during presentations all the time. We've all seen it, and most of us are guilty of having done it. It happens most often when something goes wrong. Stop yourself from muttering little comments under your breath (e.g. “Oops. Hold on. What just happened?”). As awkward as it can feel on stage, it looks much more professional to pause silently for a few seconds when you need to regain your bearings. Avoid talking about your presentation tools (e.g. “How do you use this remote?” “Is this video working?”). And, most importantly, don't face your slides as you talk. Your slides didn't come to see you speak, your audience did. Learn to always keep your audience in mind, keep that fourth wall down, and you'll immediately see a major improvement in your presentation delivery. How to start making a presentation. Great presentation design starts with the right approach. How do you begin making a presentation? Most people start digital. They sit at their computer, open up Microsoft PowerPoint, choose a shnazzy theme, and start churning out titles and bullet points. A few hours (and several clipart images) later, the presentation is “complete”. Unfortunately, this method often leads to the boring presentations we're all used to. It puts the emphasis on your bullet points instead of the story you're telling. Effective slides emphasize the important messages in a presentation. They don’t double as a giant TelePrompTer to read from. Remember, bullet points are not talking points. Instead, try starting analog. Grab a pen and paper, find a comfortable place to work, and dedicate an hour or two to brainstorming your presentation away from the computer. Consider these questions: What’s the purpose of your presentation? Why were you asked to speak? What does the audience expect? What does the audience already know? What’s your main point? What’s your most important message? Why should your audience care? 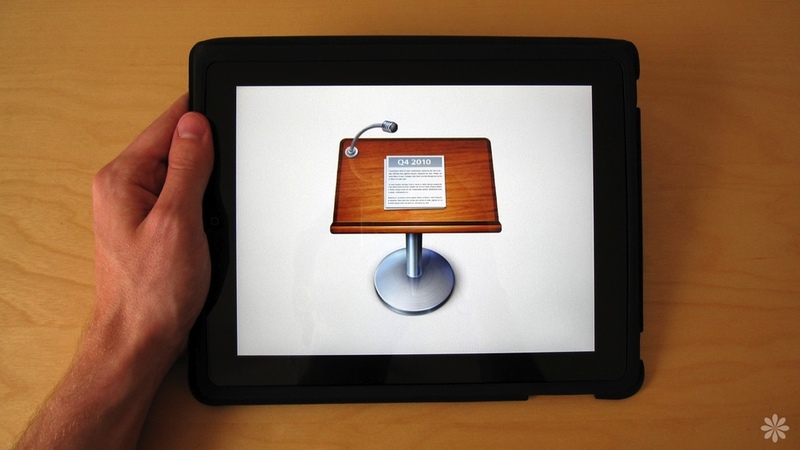 Initially, pretend your presentation will be a speech without slides. Sketch out some talking points for how you’d deliver that speech. How would you frame your content to make it compelling? What stories would you share to emphasize your message? After you’ve put your ideas down on paper, then start thinking about your slides. What sort of visuals will enhance your message? 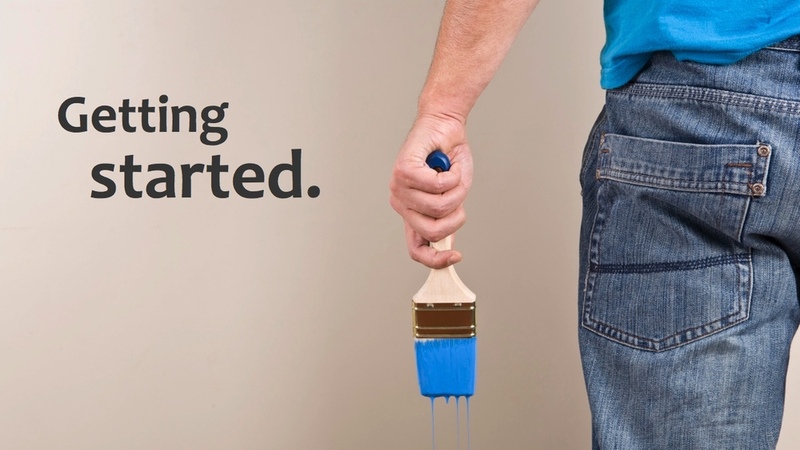 Approach each slide as a blank canvas, not just a space to list your talking points. Starting analog yields better results because it helps you focus on the story you’re telling, instead of lists of bullet points. I like starting with a pen and paper because it gives me the freedom to write haphazardly and sketch pictures at the same time. If sketching isn’t your thing, a word processor works fine too. The point is just to avoid presentation software and slide templates at first. Give the analog approach a try. Keep your focus on the story you’re telling and you’ll be surprised by how much better your next presentation turns out.